Looking for a very special wedding gift for your future wife? 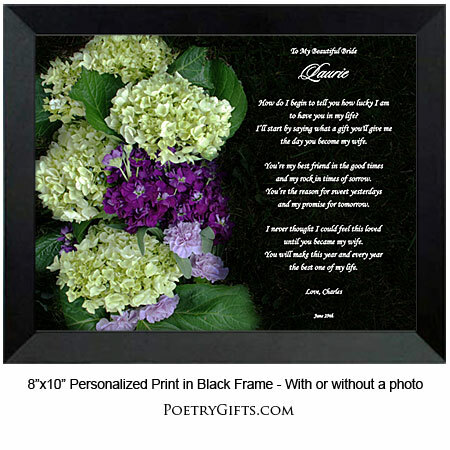 Consider this personalized Poetry Gift with original photography and poetry. 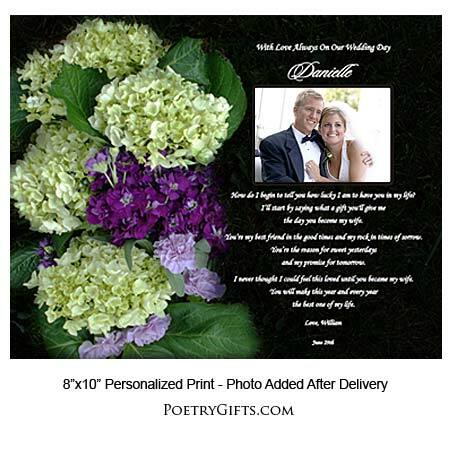 The hydrangea bouquet design is striking, the personalized love poem is very touching AND you can add a favorite wedding picture. 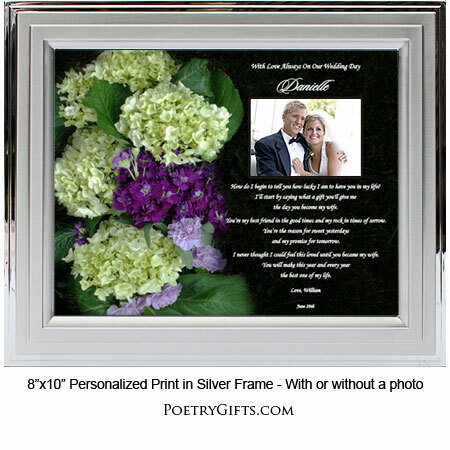 It's a perfect wedding gift for your wife-to-be because it's Meaningful, it's Personal, it's Lasting AND it's Guaranteed to get you extra hugs! 3. 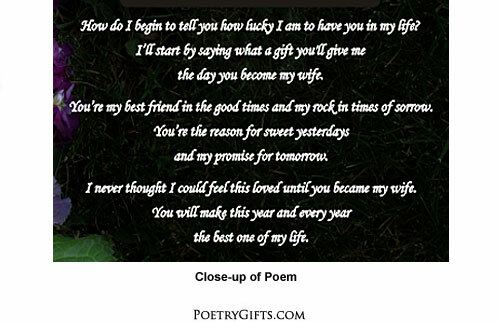 Closing Phrase and Your Name (as seen after poem) - (Examples: You've Made Me So Happy, Love, Jonathan; With Love Now and Forever, Nathan; etc. the day you become my wife.